The new AMD RX Vega 56, RX Vega 64 GPUs, and Threadripper 1900X has now been announced by the company and if you were looking for an alternative to the Nvidia’s high-end GeForce GTX 10-series cards such GTX 1080 or GTX 1080ti then, AMD’s new AMD RX Vega 56, RX Vega 64 GPUs, and Threadripper 1900X graphics cards could be a better replacement for your next graphics card which is also capable of handling 4K gaming with better refresh rate as well. Primarily, AMD has launched two main models the AMD RX Vega 56 and RX Vega 64, both of them have 56 or 64 of AMD’s next-gen Vega compute units, for a total of 4,096 or 3,584 execution blocks called “stream processors” which can deliver 10.5 Teraflops and 12.66 Teraflops of computing power respectively. Both GPUs have 8GB of HBM2 memory on a 2048-bit bus. Memory bandwidth is 410GBps for the Vega 56 and 483.8GBps for the Vega 64. AMD has also announced a Radeon RX Vega 64 Liquid Cooled Edition which has an integrated closed-loop liquid cooler with a 120mm radiator. The Liquid Cooled Edition can push out 13.7 Teraflops because of its clock speed can reach 1677MHz as opposed to 1546MHz for the is the regular Vega 64 and 1471MHz for the Vega 56. Its power consumption is also rated at a massive 345W, rather than 295W and 210W for the two air-cooled cards. The RX Vega 56 is priced at $399 (approximately Rs. 25,625) while the standard Vega 64 costs $499 (approximately Rs. 32,045) and its liquid-cooled addition will cost $699 (approximately Rs. 44,890). They will all go on sale in the US on August 14. Pricing and availability in India are not yet known. 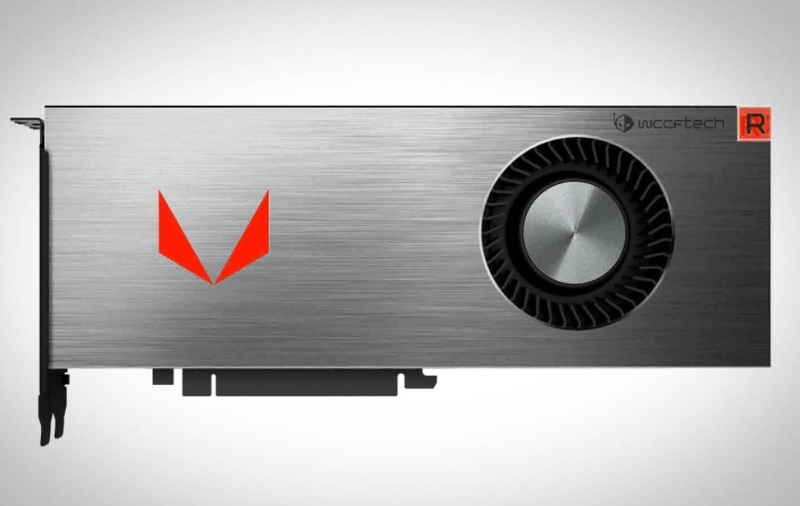 The company also teased a small-form-factor Radeon RX Vega Nano card, though no information about its specifications or capabilities is yet known, as well as Project 47, a server product that packs 1 Petaflop of processing power in a single rack. AMD has also confirmed its upcoming Ryzen Threadripper enthusiast CPU lineup the Ryzen Threadripper 1900X. The Threadripper 1900X will feature 8 cores and 16 threads, It will have a base clock speed of 3.8GHz, a boost clock of 4.0GHz and an XFR limit of 4.2GHz. It will have a $549 price tag and use the same X399 platform.